Recognising that tenants were not receiving advice completely independent of, and unencumbered by, the nexus between Landlords and their Agents, TRS commenced business to fight for tenants rights and save them money in their commercial lease negotiations. Now, 17 years later, TRS continues the fight to save you more. Only TRS flies the flag of true independence. Unlike property companies we do not offer landlord services such as: Property agency, Property sales, Property management or Valuations. Our Tenant Representation Service addresses the needs of you: the tenant. TRS is intensely independent with a single-minded mission to represent your interests, and yours alone. Existing companies wishing to reduce their property costs via a nimble service, on-demand advice, impeccable integrity, robust processes, and smarter long-term planning. Engaging TRS is like having a lawyer, lobbyist and power broker rolled into one – doggedly pursuing and negotiating your rights and seeking every possible gain in all corners on your contract, no matter how small. Our team is qualified and experienced in all aspects of commercial and industrial property throughout Australia. We conduct approximately 13O commercial lease negotiations and manage over 3O fitouts each year. 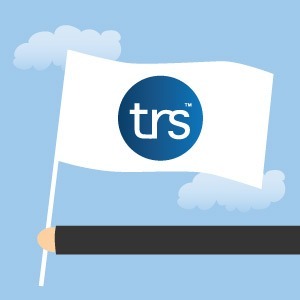 All our processes and web-based software has been designed and engineered by TRS for tenants. Our administration platform enables our clients to participate in the entire commercial lease negotiation process. TRS takes full responsibility for our processes, professional advice, recommendations and negotiations. We strive to safeguard the best interests of tenants. Not only do we save you more, but unlike some property advisors, we are insured in excess of $30M and can provide you with currency documents on demand. TRS ensures that your decision to use us means that you mitigate your exposure to risk and enjoy a successful outcome for your business.